Scientific Linux is a Linux distribution based on the Red Hat Enterprise Linux (RHEL). It is named Scientific Linux as it was made to be used by scientific labs. The distribution is primarily developed by the developers at Fermilab, CERN, at the ETH Zurich and at DESY and comes with GNU GPL License. One can assume our future upcoming guide on Scientific Linux, from article and guides like Linux Graphical Desktop on Rackspace Cloud or Rackspace Cloud Server as Remote NeuroDebian Desktop. 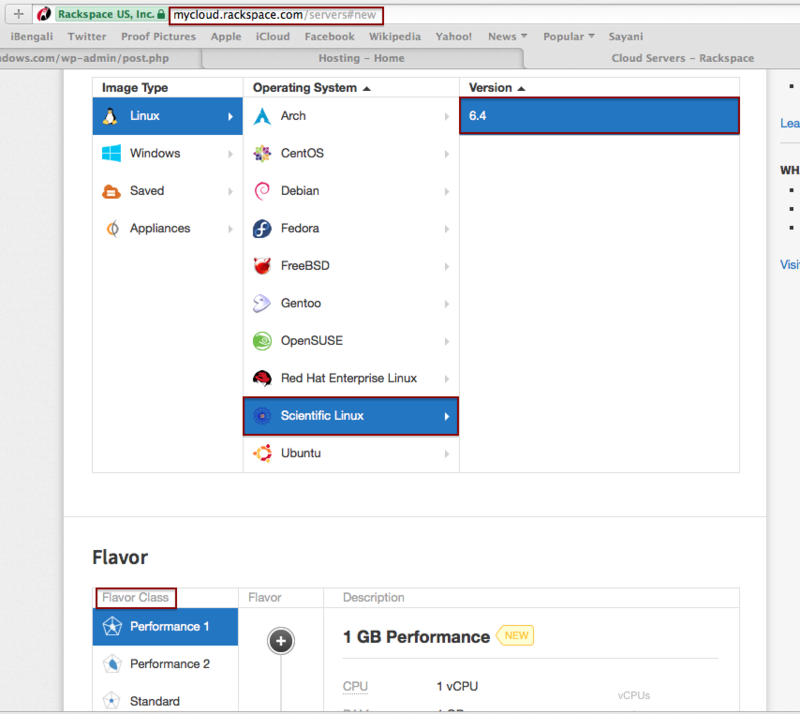 The difference between Server OS and Desktop OS is very less for Linux, in real on IaaS Cloud setup. However, this article on Scientific Linux is free from the scent of Cloud Computing! In addition to financial savings, there is also an advantage that all software which are available for RHEL, can be used directly and without restrictions for Scientific Linux. Scientific Linux was created in the context of various universities and research institutes such as CERN and Fermilab. It is built on top of the Linux distribution named “Fermi Linux LTS 3.0.1”, which had been extended by some programs and updates. After that, however, it was decided to use the sources of RHEL in order to be binary compatible with this Linux distribution, since most enterprise Linux software is available for RHEL. From the usage point of view, Scientific Linux is next to RHEL and Debian on the International Space Station (ISS) and NASA. Scientific Linux is binary compatible with RHEL, as we said before and therefore it is also an enterprise operating system that is geared to the needs of large companies and government organizations. As an enterprise operating system, therefore it is designed for durability and long maintenance cycles. You can use Scientific Linux up to ten years of having to migrate without packages and software versions, so it is suitable for commercial use. Larger software companies such as Oracle or SAP certificates that that the software works fine on RHEL, which also applies to the larger server manufacturers. Enterprise operating systems mostly used on workstations and servers , where an extremely stable operation is required (e.g, science, research, stock exchange, military or aerospace ). Not every institute and laboratory has their own distribution – the bundling avoid duplication of work. Through a joint distribution, all researchers can use a common install base for various experiments. The easy adaptability of the distribution allows institutions or laboratories without compromising the other goals. Scientific Linux is extended by specific science software to meet the software needs of the academic institutions. It does not contain a large collection of scientific software itself. We will discuss this part later on appropriate tutorial. This Article Has Been Shared 3373 Times! Unix Like Operating System has POSIX standard in common, which defines certain basic characteristics and these Operating Systems behave like UNIX. The Fix for Cannot Upload Media is not running a command to recursively chmod to 777 or equivalent action via FTP. Know the reason to fix. Cite this article as: Abhishek Ghosh, "Scientific Linux : Brief Details," in The Customize Windows, January 27, 2014, April 26, 2019, https://thecustomizewindows.com/2014/01/scientific-linux-brief-details/.